different solutions for different needs. 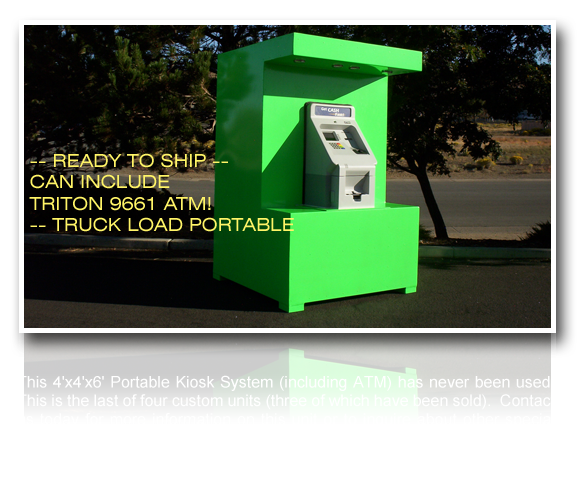 We build full-service mobile banks... we fulfill short-term ATM needs too. At MBSystems, we offer a wide range of options across four product lines. 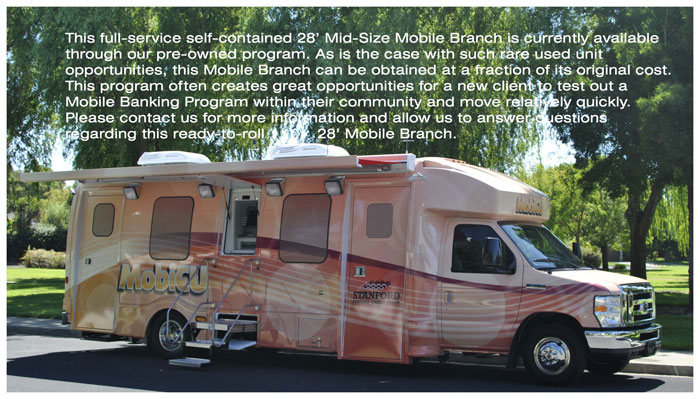 MBSystems currently offers three options in this product line - ranging in size from our 45 foot bus to the 22 foot “Mini”. Choose between a self-contained unit or tow package. Two sizes in both classifications are currently available depending upon your needs. We’ll build anything. 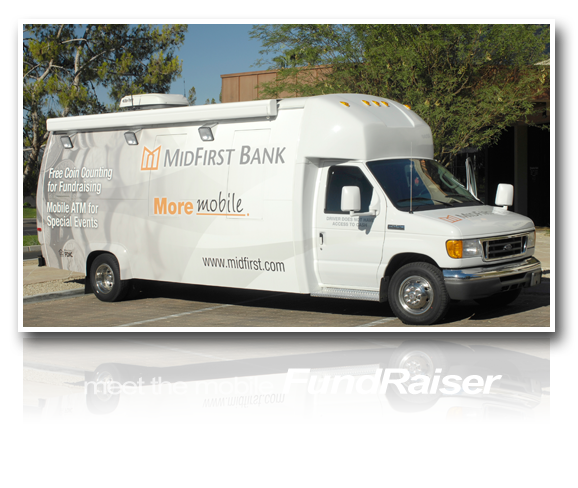 We’ve created mobile internet banking platforms and community coin-counters. 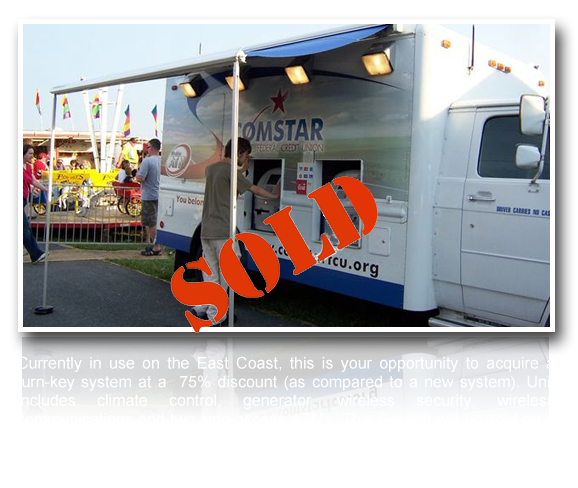 If you’re looking for a specialty system, MBSystems is the place to start. We offer a variety of other services at MBSystems - from 3, 4, and 5 year lease options, to rental programs and fixed-site wireless services. (when we can get them). You’ll find those buying opportunities below... while they last!